Finding swanky places to hold wedding events along Sydney Harbour is one of the most popular choices for newlyweds. Perhaps this is your choice as well, though it’s always worth remembering how fast these venues book up. You’ll likely have to book months in advance to get the date you want. Be sure not miss out on your Classy Sydney Harbour Wedding at Doltone House Jones Bay Wharf. It’s much the same at Doltone House, one of the most luxurious areas along the harbour. It has numerous venues we’ve written about before, most notably Hyde Park. 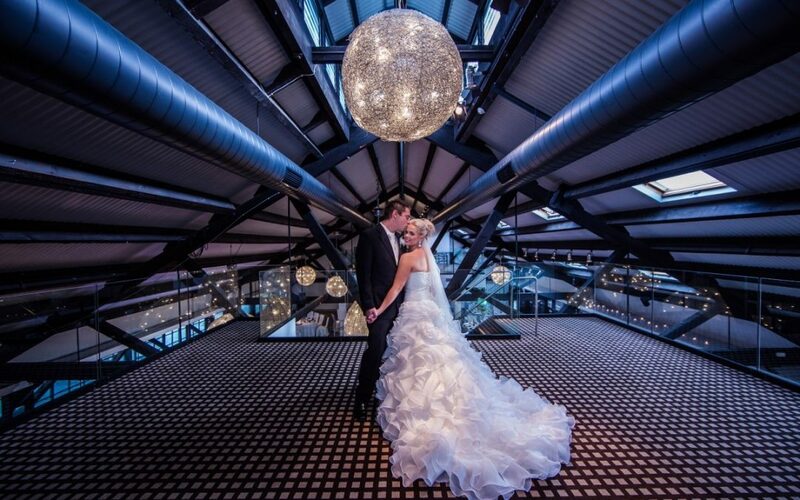 Another one of their outstanding venues is Jones Bay Wharf at Pyrmont. This is a place you won’t forget attending since it’s quite spacious with different sections to use for your entertainment. A classy Sydney wedding venue at Doltone House Pyrmont is more than possible, enhanced with the right wedding music we can provide through Lily Road. This section of Jones Bay Wharf is a recently transformed wharf that was once used for industrial purposes. Now it’s become a celebrated area to hold outdoor events. You’ll appreciate your wedding taking place here because it’s one of the few wharfs giving you complete privacy while offering stunning city views. Heritage Wharf holds up to 1,000 people if you’re expecting a huge crowd. Plus, it’s pillarless and has high ceilings, giving you plenty of space for elaborate decorating. In addition, you’ll have a high-end lighting and staging area to bring in any kind of entertainment. Lily Road Band loves playing Jones Bay Wharf because of the state-of-the-art sound system they supply. We’ll provide an exciting time for you playing your favourite songs for weddings within a spacious and appealing environment. Another section of Jones Bay Wharf is Soho, with a New York design style from Greg Natale. Many corporate events take place inside, though you can easily use it for your wedding reception. It focuses on using natural light, something you may appreciate for your wedding photography. Also, it offers private dining if you don’t want crowds of people peering in. While this is mostly indoors, it offers an outdoor elevated deck for more city views. Our wedding singers and band love playing here as well because it offers a surround sound system for a better audio effect. When you want to immerse your guests with live music and media (thanks to a 65-inch LCD screen), this is the place to go. The opulent settings in Jones Bay Wharf don’t end, and The Loft offers much of the same as the other venues above. Its interior design focuses on polished wooden floors and white gold mosaic tiles. These provide some great acoustics for musical performance. Lily Road Band enjoys playing here, especially because it’s fully air-conditioned for those hot summer days. You’ll get a private entrance in The Loft for VIP guests, which helps if notable people attend your wedding. These two suites are smaller, yet perfect if you’re just putting together a smaller gathering for your wedding. Suite 43 still has a private deck area with excellent waterfront views. The decor gives you top-tier design in a slightly smaller space, hosting up to 25 people. For Suite 55, it’s much the same, but only holds up to 12. Regardless, it’s capable of holding eight more with the proper setup. Designer furniture is a highlight in the decor. Greg Natale is again responsible for the overall design. If you can’t book the above venues, using the Jones Bay Wharf deck is just as good. While you’ll be completely outdoors, it’s private and roomy enough for a small group of entertainers. It comes complete with a BBQ and grazing stations. At Lily Road, we love playing either in outdoor or indoor locations. Visit us to find out more about how we can help bring in top wedding singers (or our band) to make your wedding at Doltone House Jones Bay Wharf a complete success.